Wilson Parking at 800 Bourke Street. Whether it's for corporate or private events, this waterfront venue showcases one of Melbourne’s most unique and exciting culinary offerings whilst in a space that has a personality and character of its own. Enjoy an aromatic and inviting atmosphere in the comfortable and modern Dining Room, or couple this with picturesque water and city views available from the contemporary and very suave outdoor Terrace. Be enveloped in bold, flavourful and authentic cuisine for your next cocktail or sit down event. 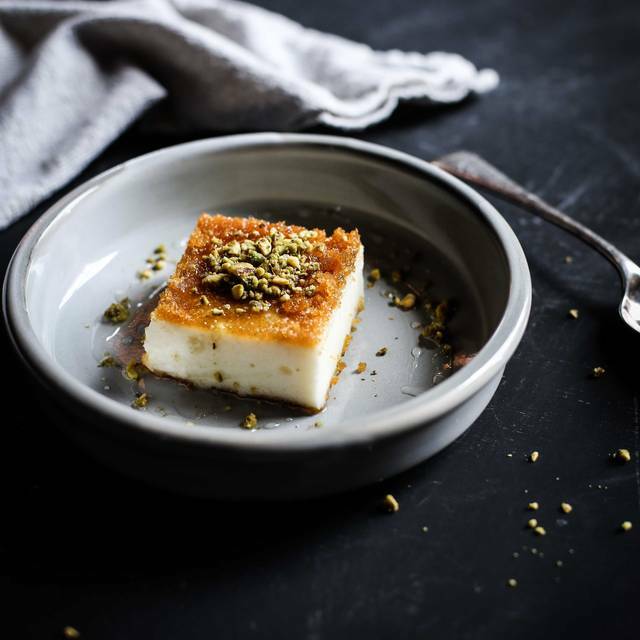 Inspired by recipes of the generations before her, Mama Rumaan embraces the food philosophy of her ancestors whilst introducing new depths to these traditional Middle-Eastern flavours. Sharing is caring, and Mama knows that the best food can be shared amongst family and friends. With mama herself able to tailor a menu for your next event, your guests will leave full, happy and wrapped in the passion of Melbourne’s newest mama. Mama Rumaan offers authentic Middle Eastern cuisine. For those who can't decide what to have or are new to the culture there are choices of a five-course or seven-course meal that is selected by the chef. Vegetarian, vegan and gluten-free options are clearly marked on the menu for easy identification. Start out with a small dish like the lamb kibbeh, Sabah's Egyptian Falafel or roast pumpkin bourani. Mama Rumaan offers larger portions dishes like the Masgouf (fish fillets), Qouzi (slow-cooked lamb shoulder) and beef Kavurma (beef, cumin, lemon, chili potatoes and peppers). Beverages include red and white wines as well as several non-alcoholic drinks such as Uludag green apple, uludag peach, espresso, cappuccino and several selections of teas. Mama Rumaan offers both lunch and dinner for pick-up and delivery. The process has been streamlined by the online order form. My wife and I attended for our 20th wedding anniversary. The food was delicious and the service was outstanding. All involved are clearly very proud of their restaurant. You will definitely be seeing us again. Thank you! My partner and I had an amazing time, Rami the manager is so friendly and made us feel like we walked into his home. Beautiful tasty food, definitely coming back!! Loved it! Just the most delicious food, and I’m a big foodie!! The food was delicious and the staff were extremely friendly! The ambience & atmosphere was beautiful. Exceptional service! The staff really looked after us and were super friendly. They even brought out a lovely birthday surprise for my sister. My most recent experience wasn't positive. I booked a table for lunch. Our group arrived on time and ordered our meals. 45 minutes passed, we were told it would only be another 5 minutes until our meals arrived. After an hour had passed and only the side salads had been served, we unfortunately had to leave the restaurant as we needed to go back to work. I strongly suggest the prioritisation of meals for restaurant customers rather than Uber Eats orders. Please communicate with your customers. We went to Mama Rumaan for a work team Christmas lunch, and we did the smaller "feed me" menu. We had one person who was a vegetarian and this was no issue. We got a huge amount of food, we sadly couldn't get through about 1/4 of it! It was great value for money, and every course was delicious, it is by far the best restaurant in the docklands! Service was also very friendly and speedy. Could not fault our experience. Loved the vegan 4 course menu. Great food. We left feeling really full and happy. The food was amazing.Lots of vegetarian options as well. Went for a birthday celebration and was pleasantly surprised by atmosphere after off-putting conditions on booking (you may be placed at a shared table and will be expected to leave within 2 hours) but it was relaxed, not crowded (Wed evening) and food and service were great. Great, reasonably priced food with plenty of variety. Beautiful food! Everything was delicious, the right portion of everything and the menu gave a great opportunity that allowed customers to share lots of dishes. The staff was very nice and friendly, who knew a lot about the middle eastern cuisine. The food was excellent and do was the service. I went to Mama Rumaan with a group of friend and had an amazing experience! Service was good and the staff was kind. They were very accommodating to vegetarians and vegans. Everything is clearly indicated on the menu and made things easy. The food was so delicious. Everyone enjoyed the meal and would eat there again any time. Mama Rumaan is a hidden gem in Docklands! Booked because it happened to be close, but amazing food and really great environment and staff. Couldn’t speak more highly of it. Great vegan options. Spacious and by the waterfront. Family-friendly. Tasty Morrocan food which satisfied the palette! Was such a great visit that I will definitely be back soon to try the rest of the menu. Overall a very good dining experience and came back for a second time within a week! The Ramadan menu was fantastic and great value for money. The only slight downside was being asking if we wanted alcohol with our Ramadan menu, however the waiter was young (obviously inexperienced). Would still definitely recommend to others. We dined at Mama Rumaan for Mothers Day lunch and it was fabulous! They were so accommodating of our food requirements and children. Their service was second to none! They served up amazing food that everyone was very happy with and even gave us baklava on the house! Yummo! I will be back here for sure and cannot recommend this place highly enough! Can not fault anything about this place. Food, service, whole experience= impeccable. Booked online through OpenTable and reservation was confirmed, only to find out ON ARRIVAL that the venue was booked out for a private function. Really disappointed that there is no communication between OpenTable and the restaurant and that neither parties will take responsibility for the mistake. Wasted our time driving to Mama Rumaan and then had to waste further time seeking an alternate venue. I called the restaurant asking for a call back but nobody has responded to the matter. Food was tasty however way overpriced and portions are tappas size. $5 for flatbread which really is a thin version of naan bread. $7 for a small container of garlic. The chef was Indian so very noticeable of the non authentic Lebanese flavours. Being a Lebanese food fanatic I wouldn’t recommend this place for the true flavours of lebanese flavours. Really impressed by the tasting menu and the staff were friendly and knowledgeable about the menu. Food was tasty! We made our own “feed me” type menu and picked a number of dishes to share, which were just amazing!! The qouzi was a stand out dish! Sadly, i would love to give Mama Rumaan a high score but the meat was very dry and over cooked. Though the waiters were attentive they were new and therefore a little nervous. The music was so loud that we had to ask for it to be turned down twice so that we could have a conversation. Sorry guys but generally speaking, people go to eat out so that they can catch up and chat - you can't do that if the music prevents you from hearing each other. Great seevice from arrival to departure. The food was absolutely divine! The food was amazing, I have a late lunch here once which we walk pass by chance. The slow cook lamb dish had a stronger smell than the last time I ate here. The restaurant have no system in place everyone running around all over the place. We have a booking and was told by the waiter to wait outside. Most of the staff don't listen to their customers & rush off in mid sentence, it disrespectful & rude. We ordered cabbage roll & didn't get it, wrong drinks & we have to ask for our bills 3 times. 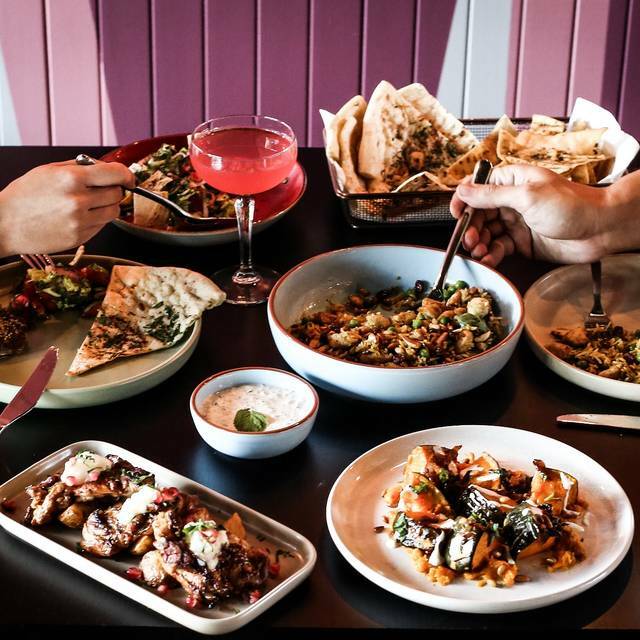 We found the food to taste home made however it was presented with a modern westernised twist which was great!the venue has a great vibe in the restaurant real modern and great for get togethers with friends. Great food, value for money. The meat platter was excellent. very delicious but the portion should be a bit bigger, based on its price. 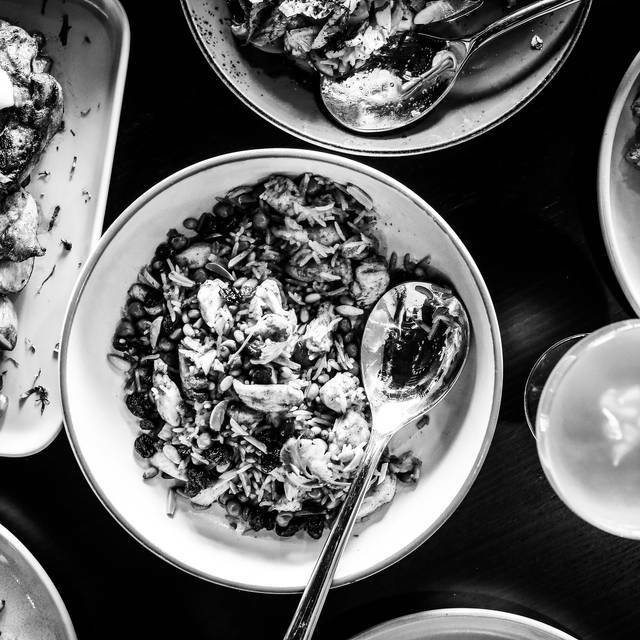 Mama Rumaan is one of our favourite Melbourne restaurants. Situated on the beautiful Victoria Harbour. Great food, wine and service. Always a great experience. Friendly, prompt welcome. Quick, helpful provision of menu and further assistance. Efficient service throughout. Table wobble was not resolved though. Delicious food distracted us from this! Friendly service, nice atmosphere. Food was also good, and my friend was offered a free drink as she had to wait a little longer for her food. But otherwise, food was quick enough. Nice range of items, including vegan and vegetarian.